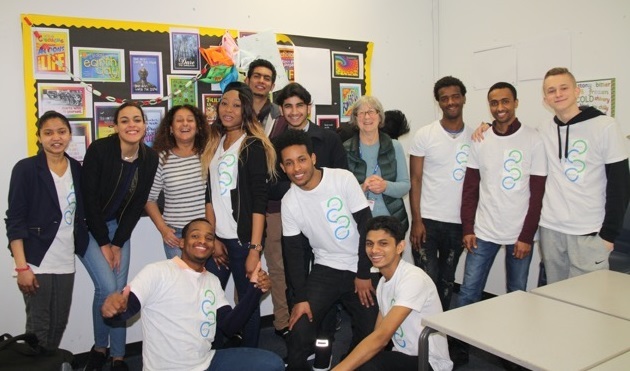 In secondary schools and further education colleges across London, Child to Child’s Hearing All Voices (HAV) project has been showcasing the “hands-on” work of disadvantaged students from migrant, asylum seeker, refugee (MARS) backgrounds and those at risk of becoming categorised as NEET (not in education, employment or training). This three-year project was funded by the Paul Hamlyn Foundation, and has highlighted the meaningful impact young people can have in their schools and communities whilst also developing their own personal and professional skills. Now coming to the end of its third year, Hearing All Voices was designed to promote resilience and meaningful student engagement amongst MARS and NEET pupils across a range of London based secondary schools and FE colleges. 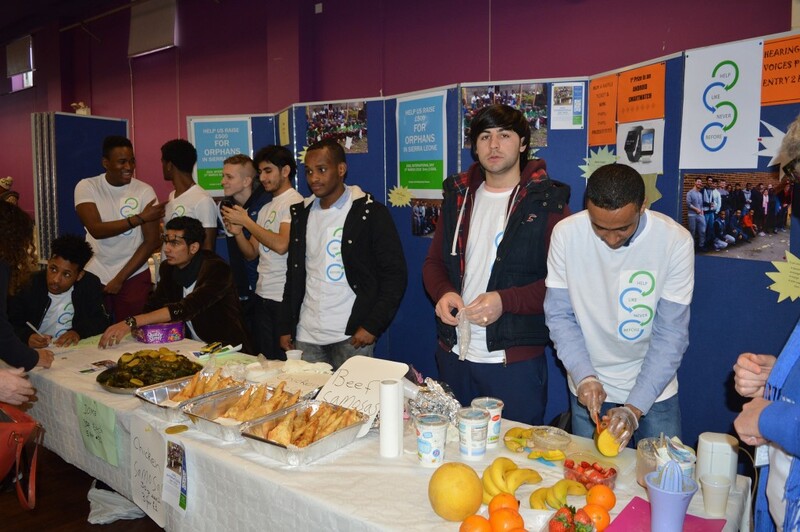 The project aimed to advocate young people’s inclusion and transform the relationship between adults and children in schools using Child to Child’s Step Approach, whilst simultaneously enhancing students’ language skills (listening and speaking), learning and life skills including their self-confidence, interpersonal communication, teamwork, problem-solving and decision-making skills and – crucially – their employability prospects. As a participatory approach, the Step Approach calls on young people to identify an issue which affects them, discuss the problem, take practical action, then follow up by evaluating the impact of their work. Students interviewed rough sleepers at the local charity Glass Door, then proceeded to raising £100 through a film screening at their college and collect 20 bags of clothes for service users. 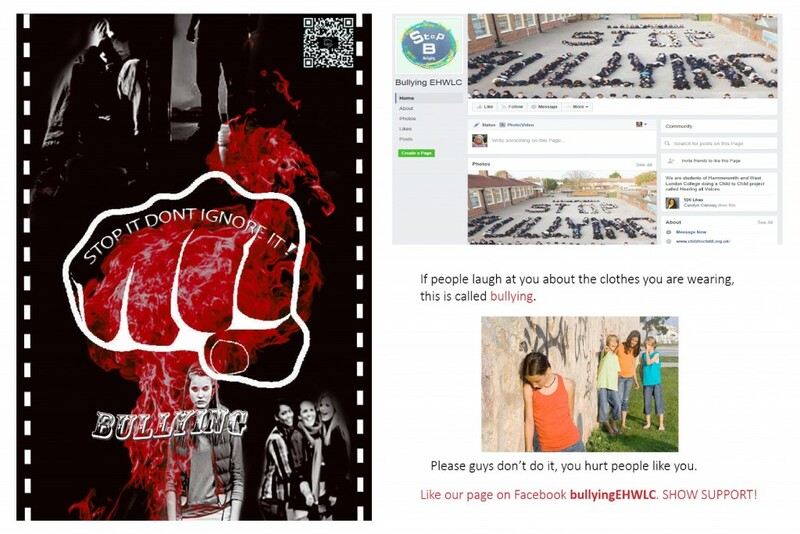 Students conducted surveys in their college and the local community, created a Facebook page to share information and later launched an awareness-raising poster campaign about bullying. Students from migrant and asylum-seeking backgrounds decided to make a real impact in the lives of those less fortunate than themselves, and were connected to an orphanage in the through the CtC Pikin to Pikin Tok project. They proceeded to find out about the most pressing needs of the orphans affected by the Ebola virus, and put their collective energies into a fundraising campaign based on those needs. They eventually raised a staggering £750 for a full year of schooling for the children in Sierra Leone. The benefits of such engagement reached all aspects of these young people’s lives: their schools, their homes and the wider community. Students developed key ACT (Agency, Communication and Teamwork) employability skills and most crucially increased their level of self-confidence and sense of responsibility which was demonstrated through their increased autonomy as learners. The increase in confidence was especially noteworthy amongst young female students. Students discovered they could achieve a lot more than they gave themselves credit for! The focus on youth participation and autonomous learning through the Step Approach gives a crucial insight into how teachers and educators can better work and facilitate training with young people. Research has proven that there is a culture of low expectations amongst teachers working with disadvantaged young people. 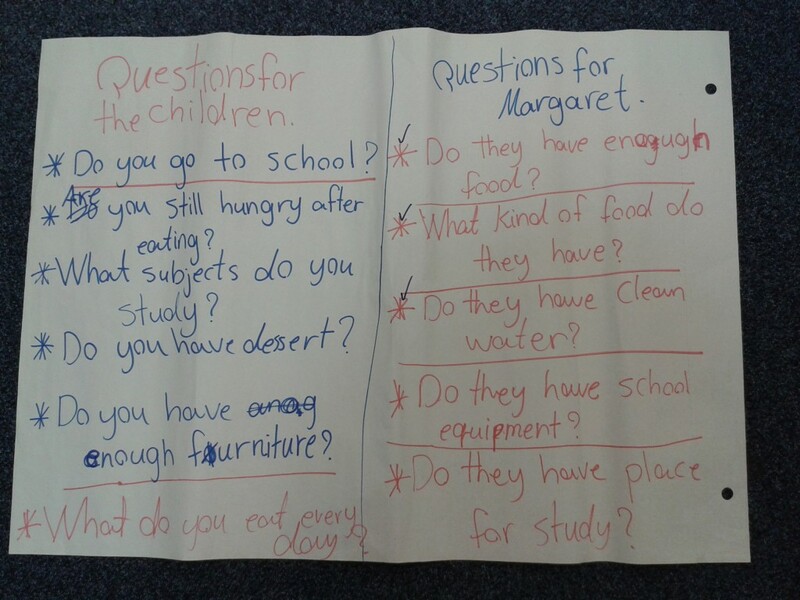 Child to Child tackled this by running both pre–project professional development sessions for teachers and developing facilitators’ training packages in addition to weekly CtC Step Approach sessions. These helped teachers to understand that young people can achieve great things when given the opportunity, so they could “step back” and develop a more child-centred approach in the classroom. These two strands of engaging both adults and young children not only enabled a shift in the classroom dynamics, but had a strong impact in terms of preparing young people for life beyond school. Aims: Hearing All Voices aims to equip vulnerable young people, including MARS students and those at risk of becoming NEET, to develop important life and employment skills.